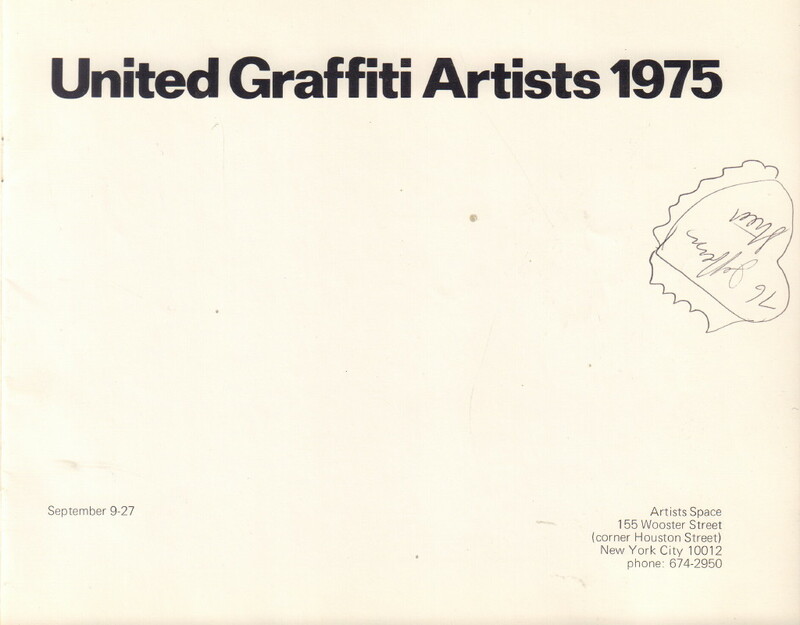 Home / Books / Art / (SOLD): United Graffiti Artists 1975. 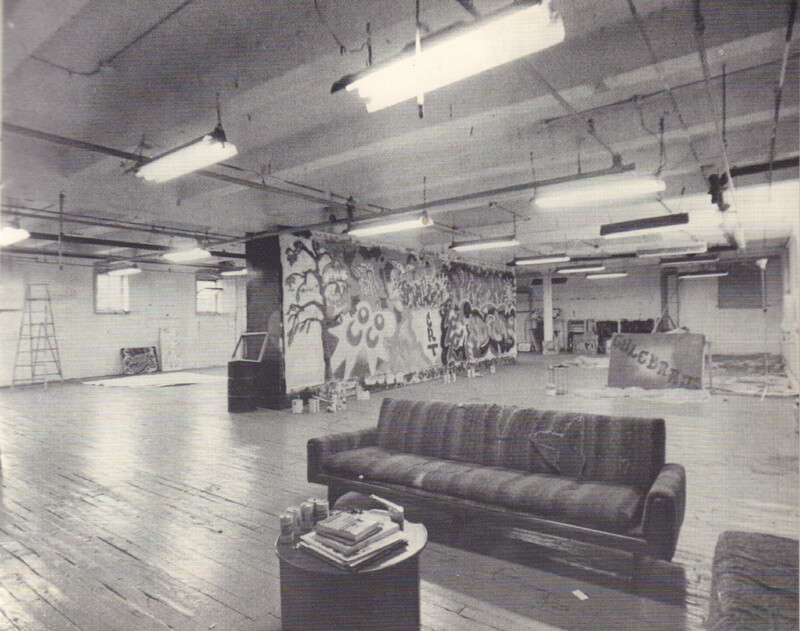 (New York, NY): Artists Space, 1975. First edition. 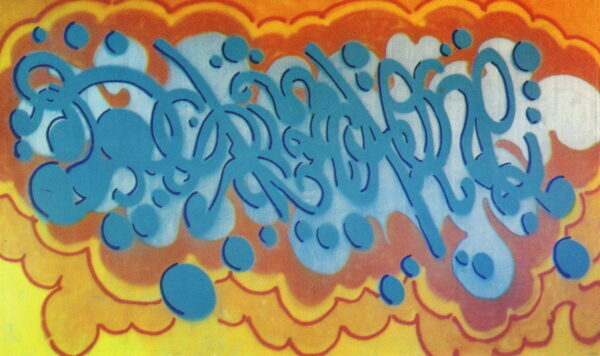 Oblong octavo. 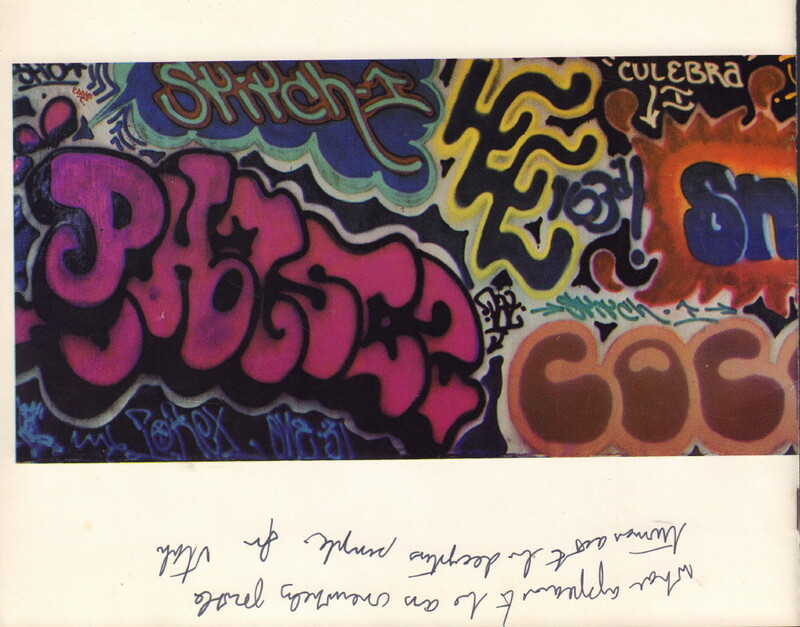 Very rare exhibition catalogue for one of the earliest graffiti exhibitions. The exhibition took place at the Artists Space, 155 Wooster Street New York from the 9th-27th September, 1975. The exhibition featured the work of the United Graffiti Artists a graffiti collective formed by Hugo Martinez. Martinez was instrumental in bringing graffiti from the streets to the gallery. 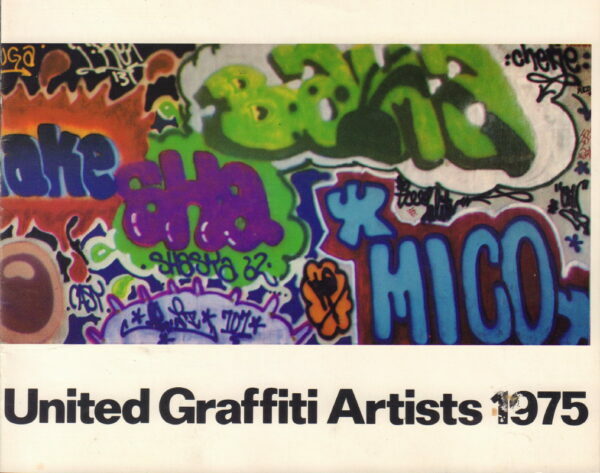 The catalogue includes an introductory essay, ‘A brief Background of Graffiti’ by Hugo Martinez and ‘Notes on Studio Graffiti’ by Peter Schjeldahl. 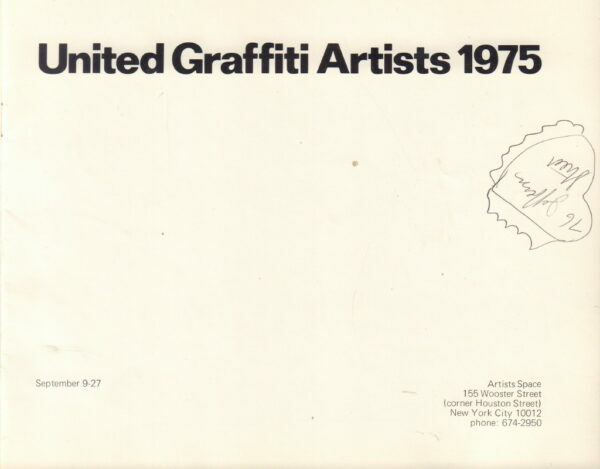 Whilst there were graffiti exhibitions in 1972, 1973 and 1974 we cannot find any reference for catalogues having been issued for these shows and it is likely that this is the first graffiti exhibition catalogue. A very good copy in stapled wrappers, staples rusted, with previous owner’s contemporary annotation to the title-page and rear cover.